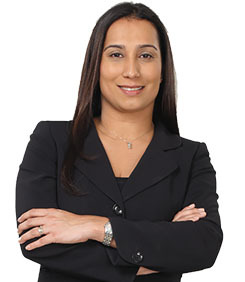 Mrs. Aditi Dhiman was appointed Executive, JN Group Loyalty programmes, in June 2017, with responsibility for the Group’s member and customer loyalty programmes, to include JN Rewards and the JN Premier programme. She joined the JN Group as a Business Strategist at JN Fund Managers Limited in June 2008, and was responsible for the development and launch of JNFM online, as well as overseeing the pension administration unit at JNFM. She was appointed Acting General Manager of JN Finance Ltd. in May 2012 and when the subsidiary was restructured as a division of the Jamaica National Building Society in 2013, Mrs Dhiman continued in the role of General Manager. With the launch of JN Bank on February 1, 2017, Mrs Dhiman assumed the role of Chief – Premier Banking, with responsibility to develop strategy and provide Premier Banking Services to JN High Net Value clients. Prior to joining the JN Group, Mrs. Dhiman was an Associate Director at UBS AG in London, UK, trained as an Auditor at KPMG in New Delhi, India and worked as an Auditor at KPMG, Switzerland. She worked as a Research Associate at INSEAD, Fontainebleau, France and carried out Treasury Management functions at World Wide Fund for Nature International in Switzerland and CMC Markets, London, UK. Mrs. Dhiman has professional training in investment products, interest rate products and bonds; KPMG International Accounting Standards; Forensic Accounting; and financial and assurance services.